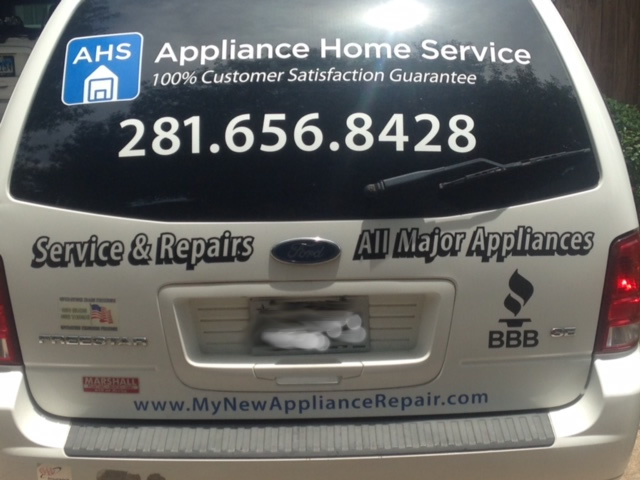 If you live in Houston or the surrounding areas, look no further than Appliance Home Service. With over 20 years experience in the appliance repair business, we have delivered appliance service to thousands of clients have who have grown to trust us. Never compromise our quality of service. Our expertly trained technicians deliver a consistent and professional experience tailored to your specific situation. From a washing machine repair that isn’t draining properly to a refrigerator not cooling properly, our technicians and dispatchers will treat you and your home with respect. In fact; due to our superior level of customer service, many of our customers look to us as their preferred home appliance repair service provider. When the unfortunate need arises to have an appliance repaired, we strongly recommend performing your due diligence and researching a company that you can entrust in your home. We have a documented track record of quality repair and service. We have provided some links below so that you may research us as well. We are committed to building our business through quality ethical work. We enjoy our work and it shows! If you would like to read more reviews about our work, professionalism and dedication to our customers, please feel free to visit some review sites. We believe strongly in earning your business through a proven track record of service.